After making some very succesful 1/8 scale gas cars and 1/12 electric cars before, the Delta team had the idea for making a much smaller car what just would fit inside your pocket. 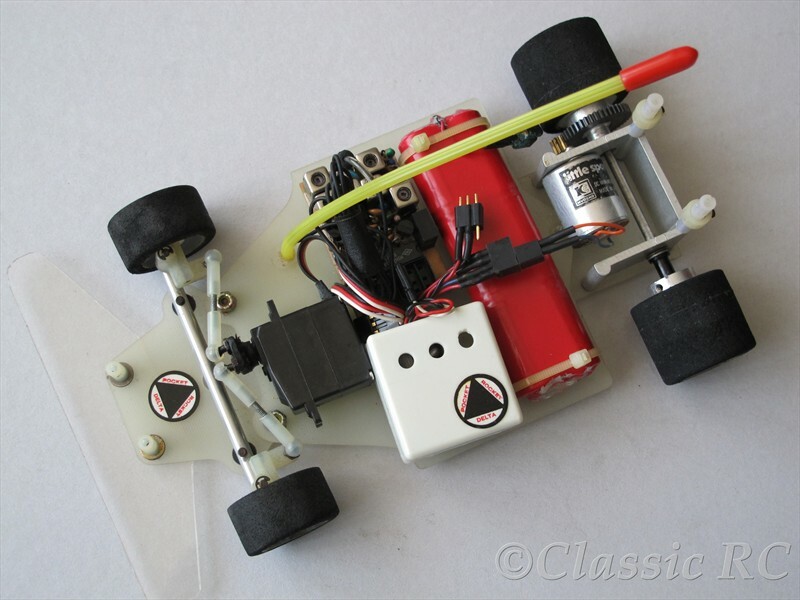 So the name Pocket Rocket was created, the very first 1/18 car in RC history. Comparing with their early Delta Phaser 1/12 car, you will notice a lot of details could be found again at the Pocket Rocket. 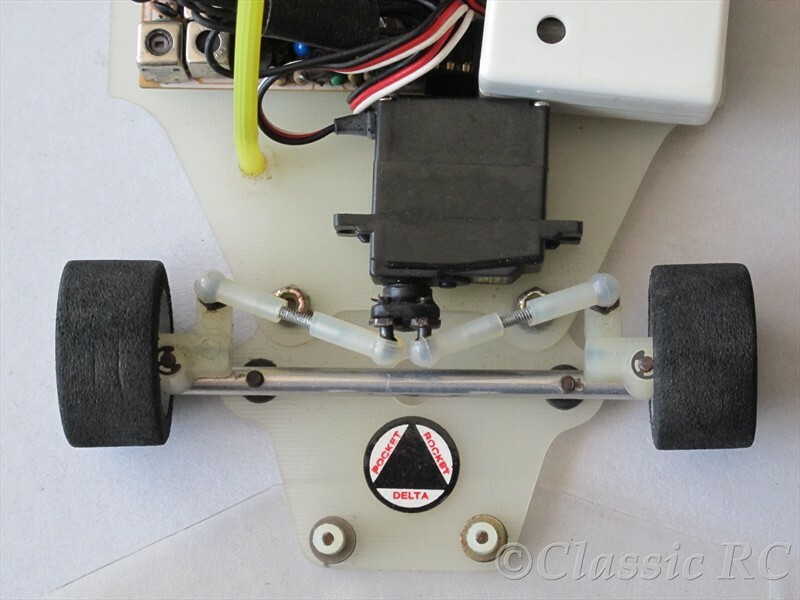 A beam type front end, a onepiece aluminium power pod and a flexing chassis consisting of the basic fibreglass chassis and the radio tray. 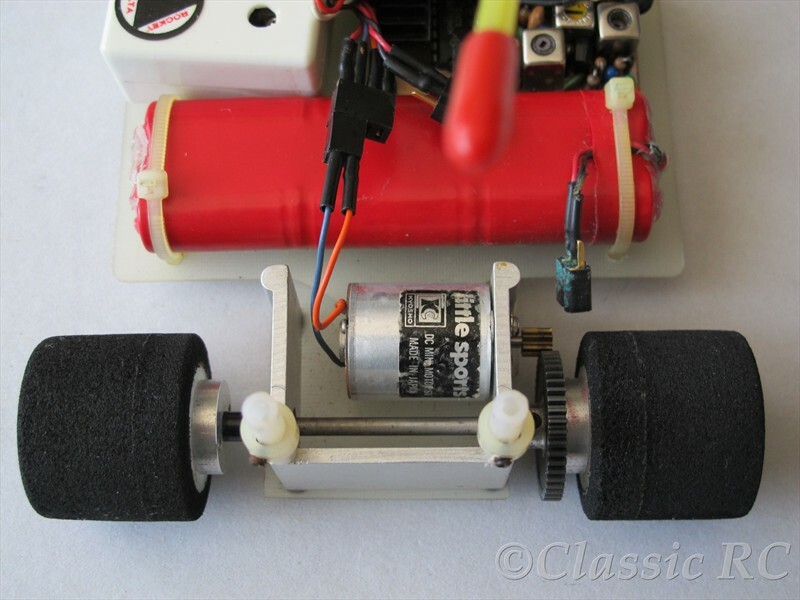 For powering this car the motor of the Kyosho Little Sports was used, feed by a small 6 cell Sanyo 250 battery and an electronic speed control, the first of Delta´s ESC series. Other battery options from factory had been GE cells and 4 cell but the version as used with our car had been the most powerful and most popular. For bodies there were Porsche 935 GT and Kroll Can-Am in the beginning, later also a Corvette, Pinto and Schkee. When Parma went into the 1/18 business, they sold their fantastic Lancia Beta Montecarlo, the Sorbello Can-Am and others which were used with the Pocket Rocket also. Some of these you could find at our vintage body gallery 1/18. 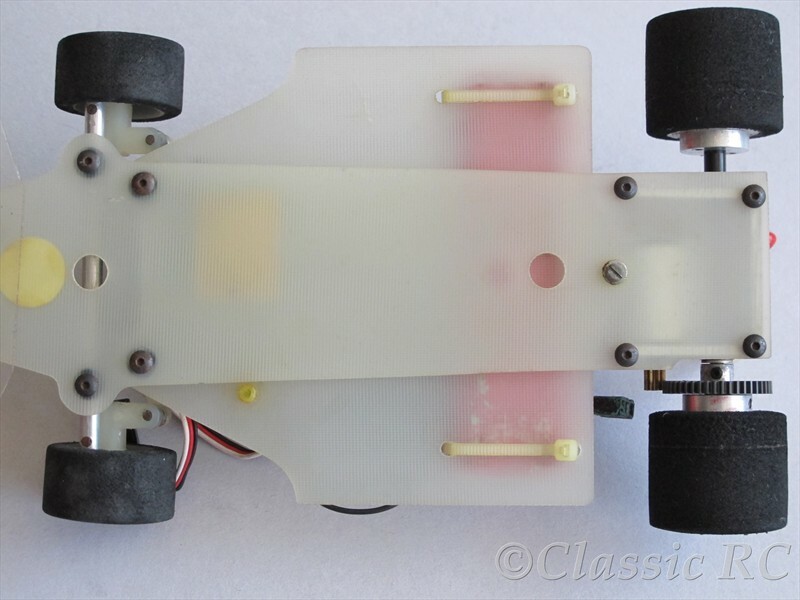 The Pocket Rocket was run as prototype during 1980 and released to the public in early 1981, about half a year before Parma introduced their Cheetah, the next 1/18 car in RC history. Delta not only created the first 1/18 car but also a rules set so races for these cars could be held.